After years of debate, fundraising, competition and a winter construction delay, a unique new project is quickly taking shape in northern Maine that its creators say may be coming at just the right time. In the years since Fiberight began pitching its $70 million concept, local disposal prices have gone up, China has roiled commodity markets, and New England’s main glass buyer closed its doors. While Fiberight’s mechanical biological process was already promised to reach recovery rates of 80%, the concept’s adaptability has allowed it to keep making changes along the way as each of these factors arise. 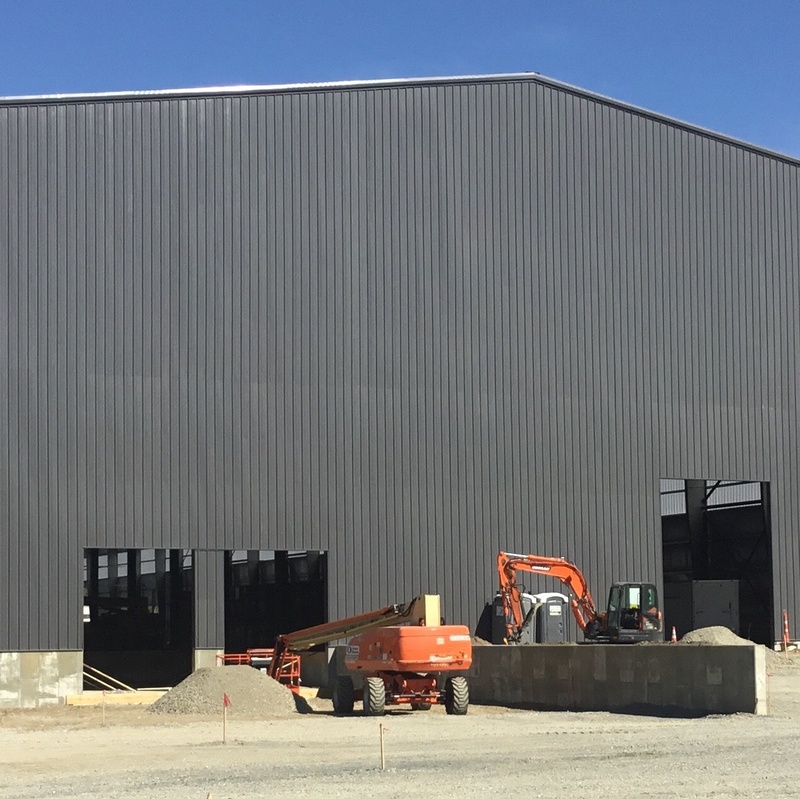 With work on the 144,000-square-foot facility now well underway, Stuart-Paul is planning a September opening for the facility’s recycling operation. The facility’s anaerobic digestion and biofuels component is projected to be up and running by the end of this year. The fact that this was all supposed to be happening earlier has added a wrinkle to contract timing for many of the 115 municipalities that ended a disposal contract with the Penobscot Energy Recovery Center WTE facility in March. A small handful have even gotten permission to keep sending their waste there in the meantime, though the majority are now utilizing either the Crossroads Landfill operated by Waste Management or the Juniper Ridge Landfill operated by Casella Waste Systems. Recyclables are going to a separate Casella-owned MRF. Stuart-Paul maintains his company’s approach will be worth the wait, because it provides a more affordable and sustainable alternative for municipalities throughout Maine’s more rural mid-coast and northern areas. It will also require a slight leap of faith for residents into a less common mixed waste approach. While Fiberight has a prototype in Virginia, this will be its first full-scale operation. ​Because proving the concept will rely in large part on the material it produces, Stuart-Paul chose to team up with a company he’d been working with since the ’90s: CP Group. Stuart-Paul was drawn to the company’s engineering capabilities after utilizing its technology at his former company Fairfax Recycling in Virginia. CP’s contributions to the front-end of Fiberight’s plant include a combination of existing technology utilized at other facilities as well as specially designed pieces. 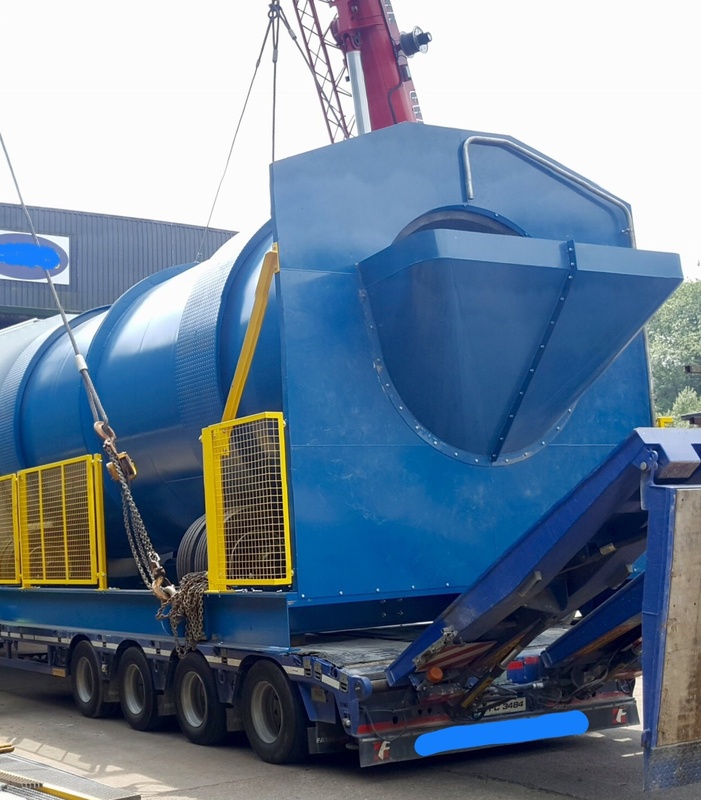 Highlights include a trommel screen with bag-opening knives, an anti-wrapping CP auger screen that is said to eliminate just about any tangler it encounters, an abrasion-resistant glass breaker, and multiple types of screens and optical sorters. CP CEO Terry Schneider said that Fiberight’s unique approach already made it an appealing project, and the potential has only increased since China’s import restrictions came out last year. “This become an even better project to be a part of,” he said. In light of China’s market effects, Schneider said he is particularly interested in exploring new markets and demonstrating the value of additional sorting technology to enable that. Like Stuart-Paul, he also recognizes the chance to showcase a concept that elicits skepticism from many in the industry. According to Stuart-Paul, the fact that Fiberight’s tip fees are expected to be $55 less than the closest single-stream MRF will go a long way toward doing that. Though the real key will be showing that its end products have value. “We have to prove that this can work and that we can make a marketable material out of something that’s coming out of one bin,” said Schneider, adding that this has been harder to prove in the U.S. marketplace. By designing the plant to be adaptable based on future market trends, Fiberight has said it is better suited to keep up with market conditions than the average MRF. For example, the company’s ability to create marketable pulp from mixed paper will be especially key at a time when the material is seen as nearly worthless in the Northeast. “Our entire ethos was that we had to assume that we needed to perfectly integrate all of our products to an end market,” said Stuart-Paul. With that approach in mind, Fiberight has been emphasizing its role in filling market gaps recently for paper and other materials. Earlier this month, the company also announced a new partnership with New Hampshire-based Impact Apparel to set up a system of textile collection boxes throughout the region and previewed plans to help with local glass issues. The recent closure of a Massachusetts bottling plant has severely disrupted New England’s glass market, with effects as far north as Maine. So Fiberight now plans to establish a glass processing component within its own yard to create construction aggregate from material that is otherwise likely being disposed. In addition to designing the Hampden plant to be adaptable to robotics or other upcoming market-driven technology changes, Fiberight and CP are also looking to partner on more facilities. While Stuart-Paul is keeping information close to the vest, he told Waste Dive more news can be expected in the not-so-distant future about other sites in New England. “We have significant interest and we are actively engaged with several counterparts for larger plants that we’re building in Maine,” he said. CP Group is expected to be a partner on whatever comes next, so the company is optimistic its work at the Hampden facility can be a showcase for more to follow.